This novel is truly a challenging read on many levels. Each vivid character is faced with a highly emotional life situation that threatens his/her cultural traditions and social standing. Just as we begin to fear that the central characters cannot possibly get their lives on the right track and the threat of suicide is ever present, the true power of the cultural matriarch comes to light each and every path. The honor of editing this novel for Cyberwit was mine, and the author is truly a skilled writer with engaging philosophical insights. Definitely a 5-star rating on this one, and I look forward to his next novel. 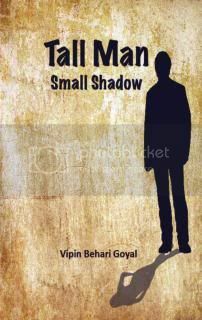 I am glad to see an excellent review of my book "Tall man small shadow". Thanks a lot Rosa Maria. The basic human nature remains the same despite cultural differences. Thanks to Carolyn for sharing it on her blog, which is one the best blogs that I have seen so far. The Kindle Edition of the book is also now available for sale.